For any women who wants to control their financial future. There is a property investing strategy for everyone regardless of financial or personal circumstances. This book provides the necessary guidance, tools, strategies and support. Bindar teaches a safe and secure way to start property investing, turning the fearful novice into a fiercely confident property investor. Brought up a strict traditional Indian family with very little money, she overcame many obstacles. She is now financially free and living her dream lifestyle with a portfolio worth several million pounds. Bindar lives her mission everyday as a property mentor by empowering, educating and enabling other women to achieve what she has. 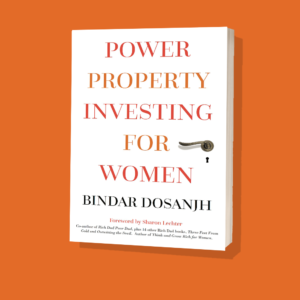 In this hugely informative and inspiring book, Bindar has made the world of property investing more accessible to the beginner. She breaks down what seems like a daunting task into small simple steps. Bindar shares the lessons she has learnt and the ways she used property investing to change her life. In so doing she empowers other women and radiates that same power. A step-by-step guide for women to achieve financial independence by investing in property. Bindar simplifies this complex subject by providing real-life examples. She demonstrates how anyone can invest in property safely in today’s market. There is no doubt in my mind that Bindar is the only female property expert you need. If you are serious about investing in property to become financially independent, don’t delay and start reading this book today! Her vast experience will catapult you to property success. The success stories she shares of other women are real. So real that most people will be able to relate. Bindar’s insights will equip you to make the right decisions and, if you apply the principles she shares, you can become very wealthy. Bindar is the go-to person when it comes to property investing. I have had the pleasure of knowing her for over 15 years and she has a wealth of knowledge on this subject. What makes Bindar so amazing and unique is that she talks from experience and from the heart. She genuinely wants to help other women achieve their full potential. Listen to what Bindar has to say – you will be glad you did! I have been fortunate enough to attend Bindar’s property programme and I have to say she is the real deal! She thrives on seeing women succeed and that is evident in her book. Topics that should make people shudder are made simple and to the point. Reading this book is like having Bindar sitting beside you. This book is a must-read for anyone thinking of property investing as a form of passive income. If you get the chance to see Bindar live do not hesitate to, I highly recommend her. I have been teaching wealth creation, for a considerable time and Bindar is one of the most astute businesswomen I have met. Her methods are simple and she guides you through property investment in a very simple step-by-step and tangible fashion. Property can be a minefield and it is hard to know where to begin but Bindar’s experience has to be seen first-hand. This book is ideal for people who are beginning their property journey and for those with more experience. Property investing can be confusing, but Bindar makes this complex subject very simple in this excellent book. It is easy to follow, to the point, containing valuable advice. This book is a must read for anyone thinking of venturing into property investing as a vehicle for financial independence. 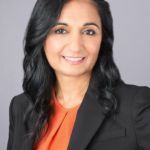 I have met many female entrepreneurs in my work as an author and publisher, but I have met very few who have mastered property investing in the way that Bindar has. The book helps potential investors navigate with ease. Complex terms are broken down and made simple and she takes the time to explain each step in detail. 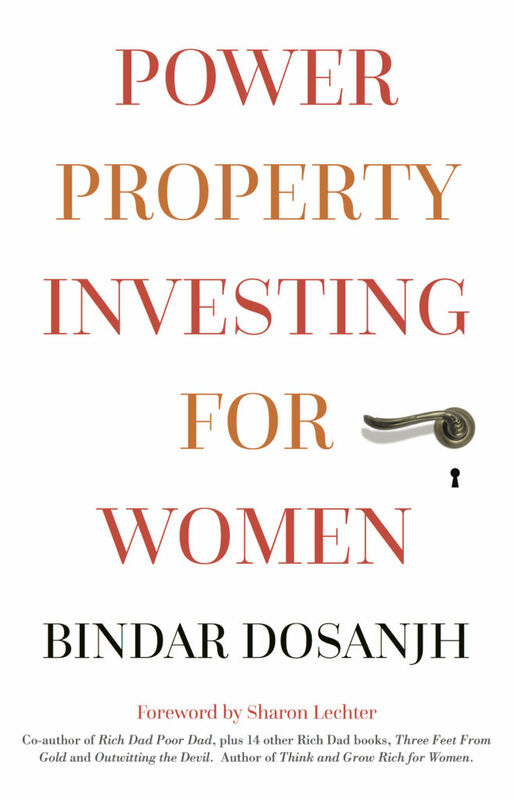 Women and wealth is my area of expertise and Bindar is the go-to person when it comes to property investing. Power Property Investing for Women is for any woman who wants to control their financial future. There is a property investing strategy for everyone regardless of financial or personal circumstances.